Talk about those who are trendsetters in their chosen careers and industries, Mahershala Ali, the American actor and rapper who knows how to nail his roles would certainly be counted in. He set the record in Hollywood as the first Muslim actor to earn an Oscar following his role in Moonlight. His star status has experienced a meteoric rise over the years with roles in House of Cards, The Hunger Games, Luke Cage, and Hidden Figures. 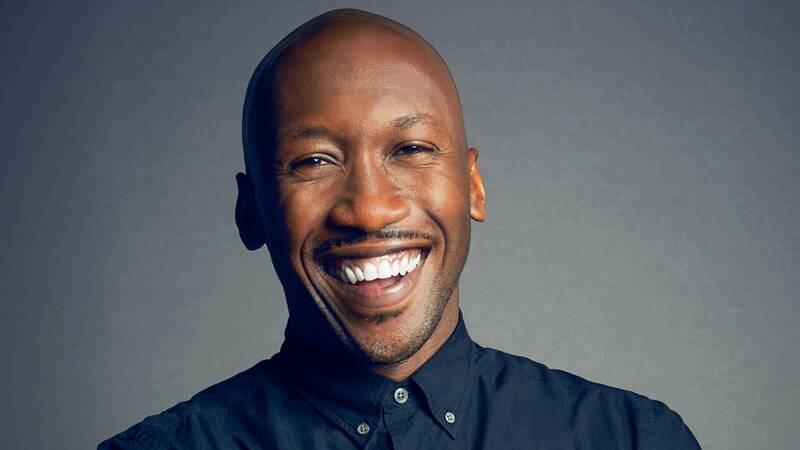 Mahershalalhashbaz Gilmore who is known professionally as Mahershala Ali was born in Oakland, California to Willicia and Phillip Gilmore on February 16, 1974. He was raised by his mother, who is a Christian minister in the nearby neighborhood of Hayward after his father Phillip left the home when he was only 3. Phillip left to pursue a career in dancing and acting and as an actor, he appeared on Broadway. Ali’s visits to his father exposed him to acting and triggered his interest therein. His mother later remarried and his stepdad stepped into the role of raising the young boy. Growing up, Ali was talented in sports and he played basketball. Thus, he earned a basketball scholarship into St. Mary’s College of California (SMC) in Moraga and graduated in 1966 with a degree in mass communication. The House of Cards actor did not fancy the idea of pursuing a career in sports as his interest therein waned by the time he graduated as a result of the cutthroat nature of the sport. However, he pitched his interest somewhere else after participating in a stage work and afterward, worked as an apprentice at the California Shakespeare Theater. Furthermore, he enrolled in New York University’s graduate acting program and earned his master’s degree in 2000. Though Ali was raised in a Christian household with an ordained Christian as a mother, there was not even a sniff of speculation whatsoever that the actor would leave the tenets of Christianity to convert to Islam. However, he did. While in NYU, he converted to Islam in 1999 and also changed his last name from Gilmore to Ali as well as joined the Ahmadiyya Community (a reform movement within Islam). The change was shocking to his mom and it took many years for her to accept him as a Muslim. Mahershala Ali’s career took off mostly on the small screen where he scored several roles as a regular on series such as Crossing Jordan (2004) and Threat Matrix (2003-2004) as well as numerous minor roles. His career breakthrough came sooner than later in 2004 when he was cast in the sci-fi series The 4400 (2004-2007) as Richard Tyler. This was followed by his silver screen breakthrough in the 2008 film The Curious Case of Benjamin Button as Tizzy alongside Brad Pitt. His other notable work credits include his role as Colonel Boggs in The Hunger Games franchise joining Jennifer Lawrence on set, Mombossa in Predator, Moses Washington in the Free State of Jones. He also starred in the box office success Hidden Figures as Jim Johnson with Taraji P Henson, Nathan Clay in Alphas, Kofi in The Place Beyond the Pines, Cornell Stokes in Marvel’s Luke Cage. For his portrayal of Calvin Willis in The Wronged Man he received an NAACP nomination and in the Netflix series House of Cards as Remy Danton co-starring Kevin Spacey, he earned an Emmy nomination. He is set to star in the forthcoming season of True Detective as Arkansas State Police detective Wayne Hays. Despite having recorded huge successes in his career over the years, his performance to generate the most buzz yet would be his role as drug dealer and mentor, Juan in the 2016 film, Moonlight. His star performance was acknowledged with wide critical acclaim and a number of nominations. He won the Academy Award for Best Supporting Actor at the 89th Academy Awards making him the first Muslim to receive an Oscar. Additionally, he earned the SAG Award and the Critics’ Choice Award for Best Supporting Actor and received a Golden Globe and a BAFTA Award nomination. Beside his blossoming acting career and the impressive resume he has built therein, Mahershala Ali is prominent in the hip-hop community as a rapper. He was signed to Bay Area recording label Hieroglyphics Imperium during the late 2000s under the stage name Prince Ali. His debut album, Curb Side Service was released in 2007 after which he decided to focus on acting. Nevertheless, he still finds a connection between music and acting. Ali makes a mixtape for every major role he takes on to give his character a soundtrack. With his depth and prowess in film, television, and theater, Mahershala Ali is quickly becoming your go-to actor and one of the most in-demand faces in Hollywood. As such, he has amassed a net worth of $2 million which is expected to keep rising over the years. Amatus Sami-Karim is the name of Ali’s wife. She is rarely referred to as his wife but has maintained her own individual personality. Sami-Karim is an artist in her own right and enjoys a wide range of artistic pursuits including music and acting with some impressive creations in those areas such as her EP Broken Compass. She graduated from Tisch School of the Arts and the Royal Academy of Dramatic Art. The duo met in NYU and has been together ever since, tying the knot in 2013. Four days prior to his history-making Oscar, the couple welcomed their first child, a daughter named Bari Najma on February 22, 2017. His first name Mahershala is actually a shortened version. Being from a Christian background, a nod was given to that when he was given the longest name in the Bible, after prophet Isaiah’s second son, Mahershalalhashbaz. The name is of Hebrew origin. Ali stands tall at ‎6 feet 11⁄2 inch (1. 87 m) and weighs 85 kg (187 lbs).